Synchronization of Exchange mailboxes with their offline counterparts (on user machines) is essential for ensuring hassle-free offline working in the Exchange environment. However, many Outlook users get error messages or face issues when the synchronization of their OST file (Offline Outlook Data File) fail. Here, we will discuss common OST synchronization issues and their solutions. How does the synchronization between OST and Exchange Server work? 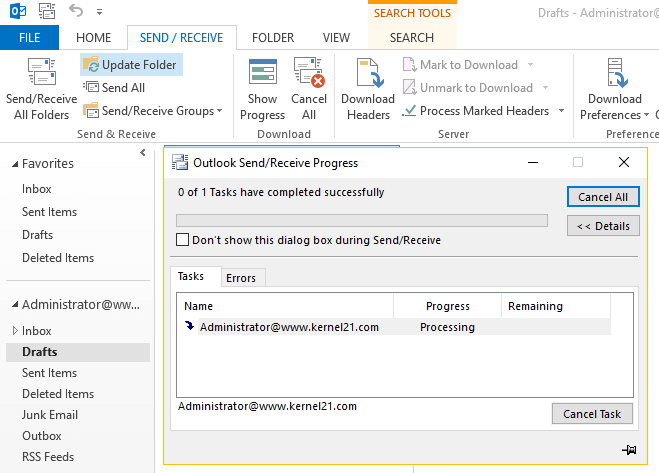 Outlook application synchronize OST file with Exchange Server mailbox when Exchange connectivity is there. Synchronization speed can differ in different Outlook versions depending on the size of the data. Why Exchange OST Synchronizations issues? 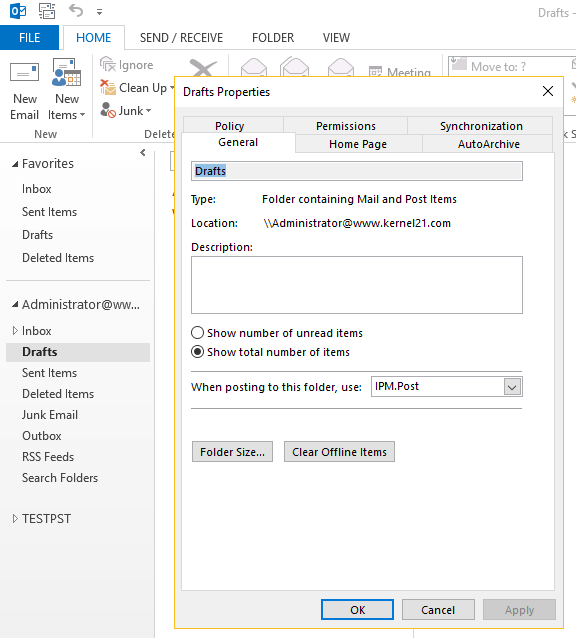 Synchronization between Exchange server and Outlook is quite smooth in most situations. But sometimes due to bad network connection or hardware defects, synchronization can fail wholly or partially. Failure of Exchange OST Synchronization happens due to the corruption or damage of OST files too. Exchange OST Synchronization errors – how do they appear? Which all versions of Outlook are affected by OST Synchronization issues? All versions of Outlook are affected by OST synchronization issues, including Outlook 2016, 2013, 2010, 2007, & 2003. How to resolve OST Synchronization issues? OST Integrity Check tool (Scanost.exe) is for use with Outlook 2003 and Outlook 2007 versions. As this tool not useful with the recent versions of Outlook we are not discussing it in detail. a )Right-click on the OST folder and click Properties. b )Click on Clear Offline Items; click OK. The Inbox Repair Tool (scanpst.exe), also can be used to scan and repair damaged OST files. If OST issues are still persistent, you can rename your affected OST file and let Exchange rebuild the OST file. How to rebuild the OST file? 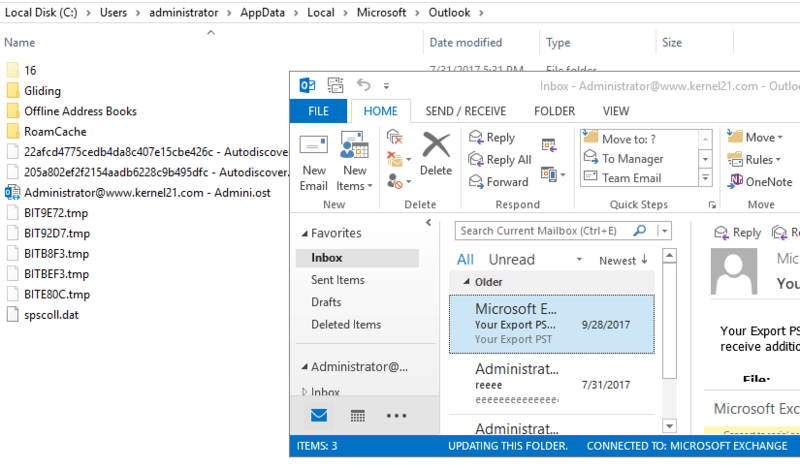 Find the OST files (For eg: Outlook.ost, Oultook0.ost, Outlook1.ost, etc.) and rename them (deletion is not recommended as you may have to recover some unsaved data from this file later). Restart Outlook, and wait till the mailbox gets synchronized. After deleting/renaming the old OST file and creating a new one, you may find some data missing from the original OST file. This is when some work is left unsaved to the Exchange mailbox from the OST files. In that case, use a trusted professional application which can recover the complete mailbox from the OST file. For this, you can try Kernel for OST to PST. It retrieves even unsaved work from the old OST file.